The Feature Info Tool allows users to examine a feature’s attribute data. In the above image, the user has clicked on the map with multiple features in the education layers visible. The Feature Info tool has picked up three map features in three different layers within tolerance pixels (see below) of the user’s mouse click and displays attribute data for those results. Identified features are grouped by layer. The Feature Info tool has the following settings. When the user tries to click on a map feature for feature information, Mappin will return results within tolerance pixels of where the user clicked. 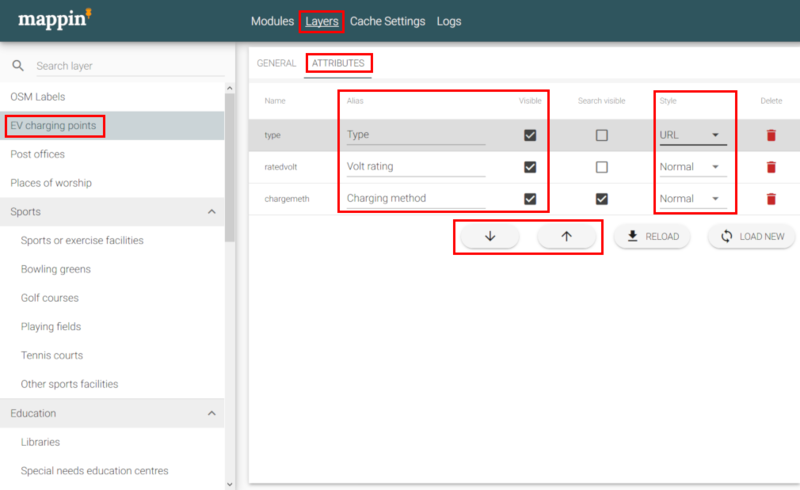 There are some other configuration options related to the Feature Info Tool. 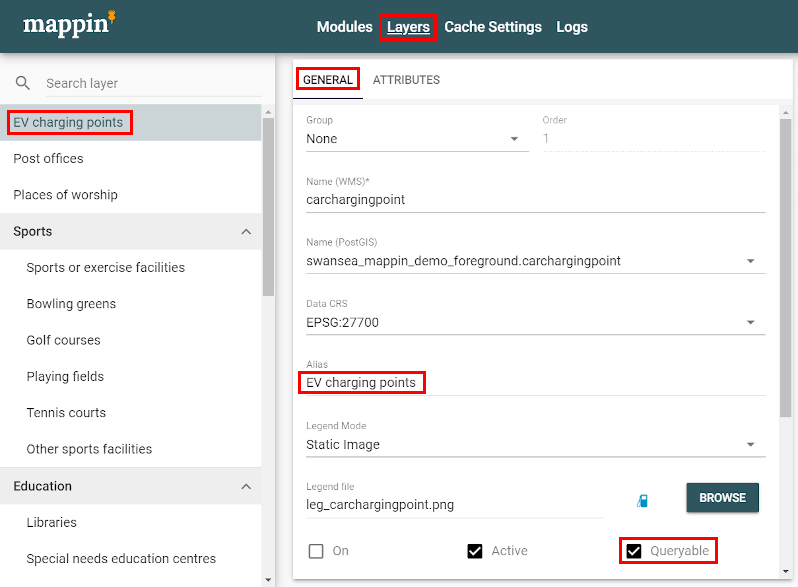 The layer name can also be aliased using the Alias setting (in the example above the EV charging layer is actually called chargingpoint but appears to users as the more user-friendly name EV charging points. A layer’s attribute settings also affect how attribute information is displayed by the Feature Info tool.